Kids are always enticing towards the racing games. The truth of the matter is that racing games create a huge obsession and thrill into their souls everlastingly. Such games help people to relieve the stress of hard work on school and colleges. Car games are regarded as the important arcade game apart from football and basketball. Car, bus and truck racing games for adults enable them to play in the comfort of their homes. This will help people to experience the car, truck, and bus driving virtually without any problem. There are websites that provide racing games for Android smartphone and these websites can provide the best entertainment for players. Here are top car games for Android and iOS Smartphone. 1. Asphalt Xtreme: Asphalt Xtreme is a racing video game developed by Gameloft. This is the First off-road racing game developed by a team of Gameloft in October 2016. This game is the successor of Asphalt 8. This game includes 35 vehicles which make your experience memorable. The multiplayer feature of this game is very popular among gamers which allow them to play with their friends and another player all across the world. This game consists of 400 career events and 500 mastery challenges. You can download it for free from your mobile Application store at free of cost. 2. GT Racing 2: GT Racing 2 is another racing game developed by Gameloft. It is not popular like asphalt series but it is popular among its fans for Graphics. Its graphics make it different from others like real racing and many others. This game consists of 71 cars from over 30 manufacturers like Ferrari, Lamborghini and much more. One can also experience this game in online mode with their friends and other people. 3. Real Racing 3: Real Racing 3 is racing video game developed by Firemonkey and published by Electronic Arts in February 2013. This is one of the most popular racing games available on Android, iOS, Nvidia shield and blackberry 10 platforms. This game has 18 tracks from all over the world with 22 car grid. Like other racing games, you can also play this in online mode to face difficult challenges from all over the world. This is also free game; you can download it from your mobile application store. 4. Traffic rider: Another masterpiece from the creator of Traffic Racer. 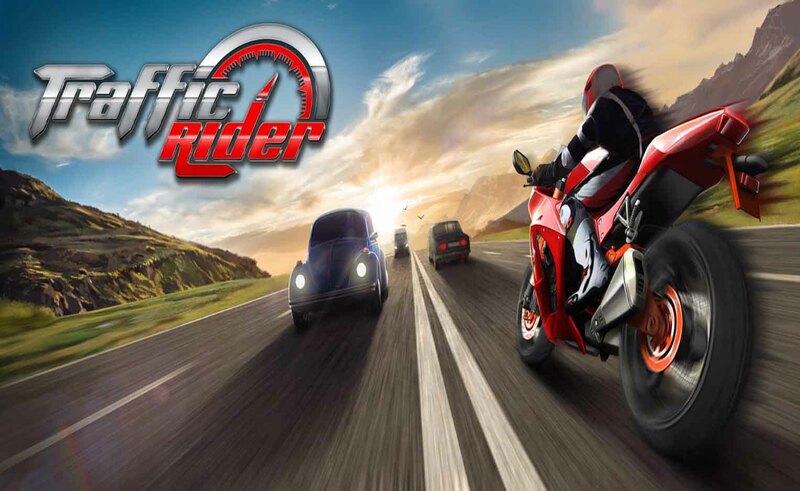 Traffic Rider takes the endless racing genre to a whole new level by adding a full career mode, first-person view and much more. Traffic Racer probably is not a racing game, it is endless runner game. The game is very popular because of its graphics and lightweight. The developer of Traffic racer makes this game highly optimized for mobile phones running on iOS and Android operating system. 5. Hill Climb Racing 2: Hill climb racing 2 is the successor of hill climb racing which is developed by Fingersoft. This mobile game is designed for both Android and iOS operating system, but now you can also experience it in Windows 10 PCs or tablets. In this latest version, you can play online with other people and friends all over the world. This game also includes campaign mode, daily tasks, multiplayer, and challenges.